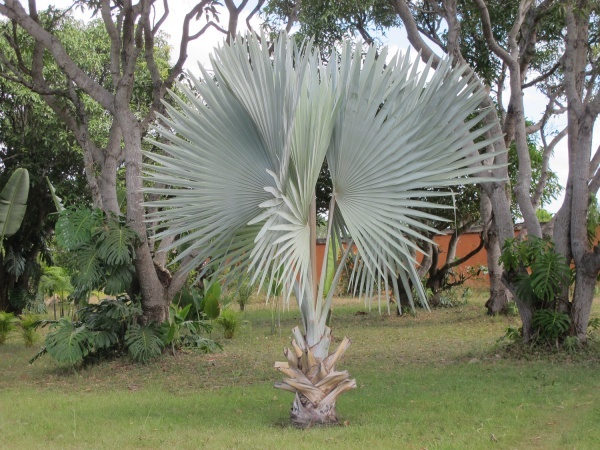 Bismarckia nobilis is the most common palm in Madagascar and endemic to the western and northern part of the island. The palm was named after Germany's first chancellor of the Otto von Bismarck empire. The palm grows in Madagascar's savannahs. The fruits are used by the Sakalava in the manufacture of rhum. Mats and baskets are made from the leaves, as well as walls and roofs for houses. According to Rev. James Richardson (1844-1922) the roots are used as an evil charm. This page was last modified on 15 July 2016, at 16:39.